One day in the 1950s, Fred Jones’s telephone rang. He picked up the receiver and a very angry woman’s voice began demanding that he do something about the two peacocks fighting in her yard. 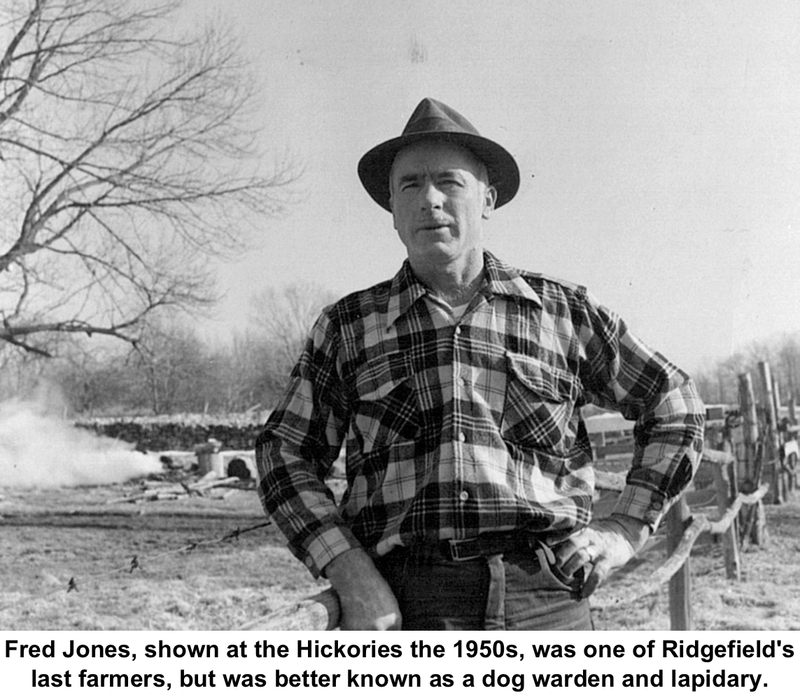 Though born in Canada in 1908, Fred B. Jones spent most of his life in Ridgefield. He was one of the town’s last old-time farmers, caretaker of the working farm at the Brewster family estate, The Hickories, on Lounsbury Road for nearly 60 years. 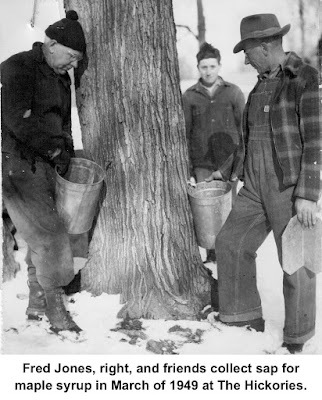 But he was also Ridgefield’s dog warden in the 1950s and 60s, and an expert lapidary. In 1960, The New York World Telegram and Sun called Jones “the best darned dog warden in Connecticut” and described how he tracked down the owners of a lost collie by contacting authorities in Long Island, Michigan and Florida, and mailing more than two dozen letters. Roaming and usually unlicensed dogs were a serious problem in the mid-20th Century, when there were still farms with livestock that could be attacked. Jones was tough about licensing dogs, so much so in 1954 that he conducted door-to-door surveys of the town to make sure dogs were licensed. In 1959, when roaming packs of dogs were attacking livestock and wildlife, he pointed out, under state law, that the town has to pay for chickens, sheep and rabbits that had been killed by stray dogs. In 1961, the town was having problems with dog packs killing deer, which back then were relatively few in number to start with. Jones warned the public in February of that year that he had the right under law to shoot and kill dogs that were attacking deer. By the early 1960s, the pound was overcrowded and was housing two dogs per run. It wasn’t until 1973 that the town tore down the 1954 shelter and built a new 14-run building. By then Jones had retired. By the 1970s, he and his late wife, Ruth, were traveling 25,000 miles a year, acquiring and selling rocks in a business called as Fred’s Gem Den. Fred Jones died in 1999 at the age of 91. Over his years in office as dog warden, Jones put in some long hours and was on call 24/7. Once he told a woman whose dog had run off to be sure to let him know if it returned. Two days later, his phone rang. “I wanted you to know that Rover just came home,” the woman reported.